Hi! 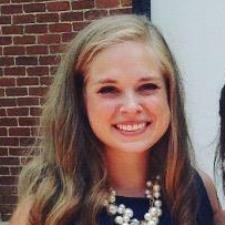 My name is Lauren B., and I am an elementary PE teacher at a local private school. I graduated from Pensacola Christian College with a B.S. in Secondary Education with a concentration in Mathematics. As I have taken both education and mathematics classes in college, I have learned that everyone learns differently. I have also seen that sometimes there are multiple ways of getting the right answer, especially in math. These two things allow for flexibility in helping students understand the material through the method that makes sense to him, not just the way I want him to learn it. I believe that the teacher is the one responsible for seeing his students succeed, so it is his job to prepare adequately for them. I strive to do things with excellence and to go the extra mile to help students understand the material. I have taken 27 credits of various college math classes (including Algebra 1 and 2, Geometry, Calculus 1 and 2, Statistics, and Discrete Math) and 16 credits of education in college. I have undergone a 45-hour education practicum where I have been in a private school observing and helping in math classes. I tutored students at college occasionally, and I thoroughly enjoyed it. I also did a 6-week internship in a school that better equipped me to provide the best math tutoring possible. I have flexible hours and am willing to work with your schedule. I look forward to gaining more experience in this area as I go into my teaching career. Feel free to contact me at your convenience, and I will respond promptly! I have taken Algebra 1 in college. I have also taken classes that have reviewed this material even more, and I am very comfortable in this subject. Knowledgeable, patient, and just awesome! Lauren tutored my son in Algebra 1. She was very patient and skilled. She was easy to talk to, and explained everything that my son was learning. By far the best tutor he has had, and she will make a great teacher one day. I highly recommend her.